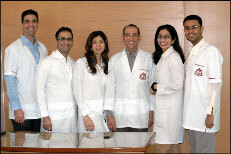 After her dental education, Dr Rashnavi studied in the United States and is American National Dental Board Certified. She has undergone several continuing education courses in Endodontics, Esthetic dentistry, Restorative dentistry and Implantology. She has contributed to the book 'The Art and Science of Esthetic Dentistry' authored by Dr Porus Turner and has co-authored a number of publications with the team. Dr Rashnavi is a faculty member of the numerous Continuing Dental Education Programs conducted at the Turners' Speciality Dental Center.